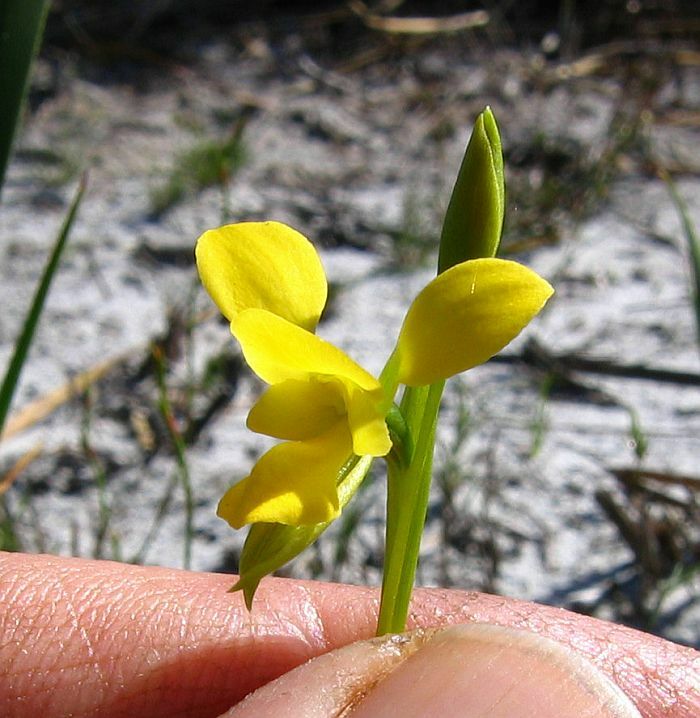 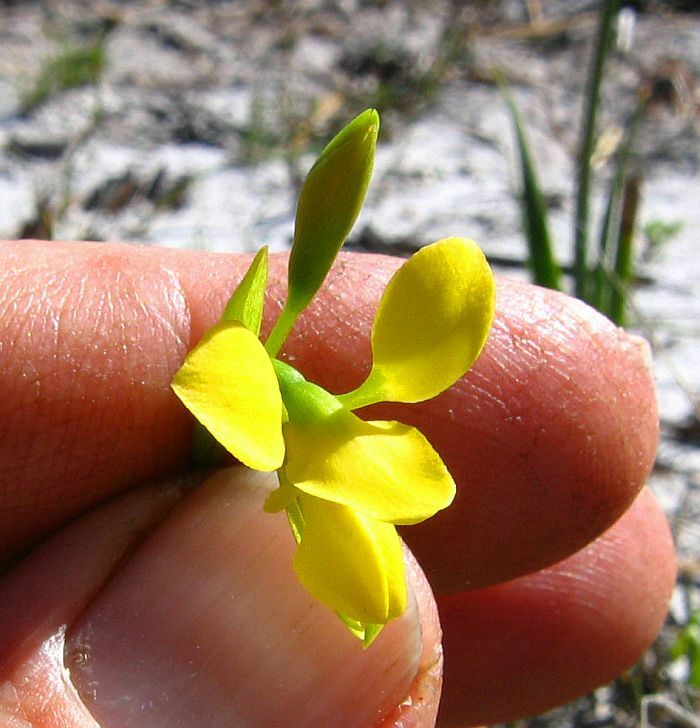 I first encountered this very smart pure yellow flowered orchid in 2006, less than twelve months after a local bushfire; in the largest colony there were only a handful of plants growing with a much larger colony of Diuris laxiflora (see here). 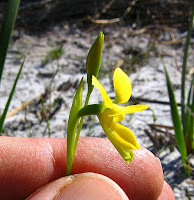 At the time I thought they were just an unusual form of that orchid, but whilst browsing through 'Orchids of Australia' by Brown, Dundas, Dixon and Hopper, I see it has been listed as a separate species. The flowers of Diuris immaculata are slightly smaller than Diuris laxiflora, but the height is similar (around 30 cm or 12”) and grows with it in winter-wet depressions, flood zones, etc. 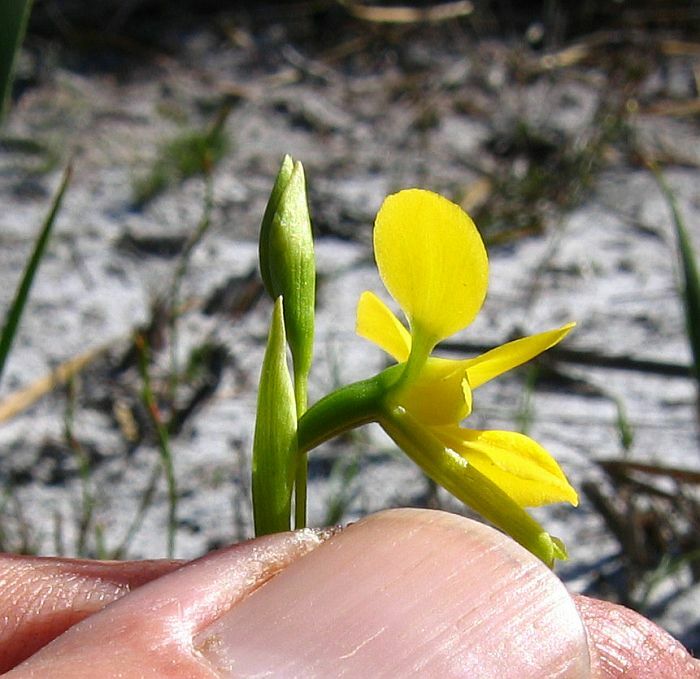 It is recorded flowering from September to early November and has been found from Esperance to Cape Arid, but is extremely rare and apparently only found after fire. Apart from the bright yellow flowers, it also differs from Diuris laxiflora by beginning to flower a month later (August for D. laxiflora and September for Diuris immaculata).